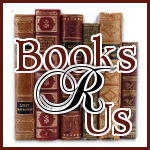 Ginger High- Books R Us: DECORATING YOUR THANKSGIVING TABLE. With Thanksgiving just around the corner here is another holiday tip. Decorating ideas on how to add create your own centerpieces and table favors to beautify your Thanksgiving table for the holidays. Thanksgiving is a special time for many families to come together, break bread, and enjoy the company of loved ones. A special meal deserves special treatment and homemade Thanksgiving table favors are a wonderful way to give your celebration a colorful, seasonal touch. For beautiful centerpieces and favors that are low in cost and high in personality, any local craft store and market are the best resources. The farmers market or grocery store will have bins full of colorful, oddly shaped pumpkins and gourds that will give any table a touch of Thanksgiving. Purchase a collection of small gourds to create place card holders. Using a knife, cut a slit in the top of each. Then cut sheets of heavy paper into 1.5 x 3 inch pieces and write the name of each guest to insert into the gourd or pumpkin. The kids can decorate the name cards and give the Thanksgiving table favors a more personalized touch. 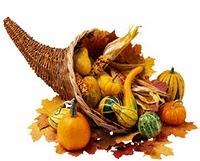 An iconic symbol of Thanksgiving is the cornucopia - overflowing cone-shaped baskets of fruits and vegetables. A simple long and low basket will do just as well. Raid the kitchen and toss in turnips and potatoes that didn't get mashed, apples that didn't make it in the pie, and the leftover pumpkins and gourds from the name plates. Arrange the items overflowing out of the basket and then place fall flowers, cranberries and leaves throughout to symbolize the naturally beautiful bounty of harvest. Mini pumpkins make a lovely simple candle holder to give any Thanksgiving table that candlelit glow and seasonal elegance. Using a sharp knife, cut a hole large enough for a candle about 2/3 of the way in the center of the pumpkin. Clean it out then allow to dry. Place the candle in the pumpkin so that it sits upright. To add a little more color, using a hot glue gun, place cranberries around the candle at the opening. This will also disguise any rough cuts. A simple table cloth need not be simple at all! Lay the cloth on the floor with newspaper underneath. Gather leaves from the yard - they should be larger, intact, and not too brittle. Paint the leaves with a small amount of coordinating acrylic paint and gently press into the table cloth. Try a couple test runs on the newspaper so that the right amount of paint and pressure is applied. A simple white cloth would look lovely with a border of orange, red and brown leaves. A darker cloth would contrast nicely with gold or tan imprints scattered across like leaves blown in from outside. Low cost, homemade Thanksgiving table favors and decor will add color and style to any holiday celebration and a personal touch that just can't be bought. Katie Washington is a writer for Favor Affair where you can browse a unique selection of thanksgiving party favors.